The Arizona Mushroom Society, Inc., is a 501(c)(3) tax-exempt/tax-deductible non-profit Arizona corporation, and is the state affiliate of the North American Mycological Association. We offer a variety of forays, educational meetings, dinners, and other events designed to appeal to novices and experienced mushroom hunters alike. Terri Clements and Christian Schwarz, assisted by a number of members of the AMS Scientific Committee, have completed the species checklist for the 2018 Annual Foray held in the White Mountains Aug. 10-12. 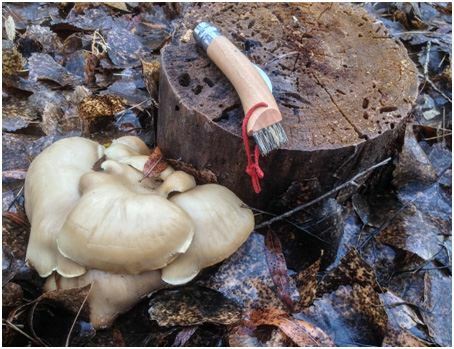 At least 163 species of fungi were recorded, among them such oddities as Pseudohydnum gelatinosum, Catathelasma imperiale, Alloclavaria purpurea, and Cantharocybe gruberi. Many interesting specimens were saved for vouchering to the Gilbertson Fungal Herbarium at the University of Arizona. You can see a good representation of what we found on iNaturalist. The foray was not quite as productive as 2017, but showed good diversity and was distinguished by highly informative presentations, delicious fungal creations by chef Chad Hyatt, and plenty of good fellowship. We are all looking forward to next year! Join Professor Barry Pryor from the University of Arizona Extension Services on a Mushroom Cutivation workshop on Saturday, February 16th at 1-5 pm at the U of A Controlled Environment Agricultural Center in Tucson. This is an opportunity to learn of basic mushroom cultivation processes and explore local resources available to you if you are interested in cultivating your own mushrooms. UPDATE: This course has been recently filled, but similar courses in Tempe, Cottonwood, and Flagstaff are expected to be added in 2019. The AMS Scholarship Committee is pleased to announce that the Dr. Chester Leathers Graduate Student Scholarship has been awarded to Nicole Colón-Carrión, a Ph.D. student in Dr. Betsy Arnold's lab at the U. of A. School of Plant Science. 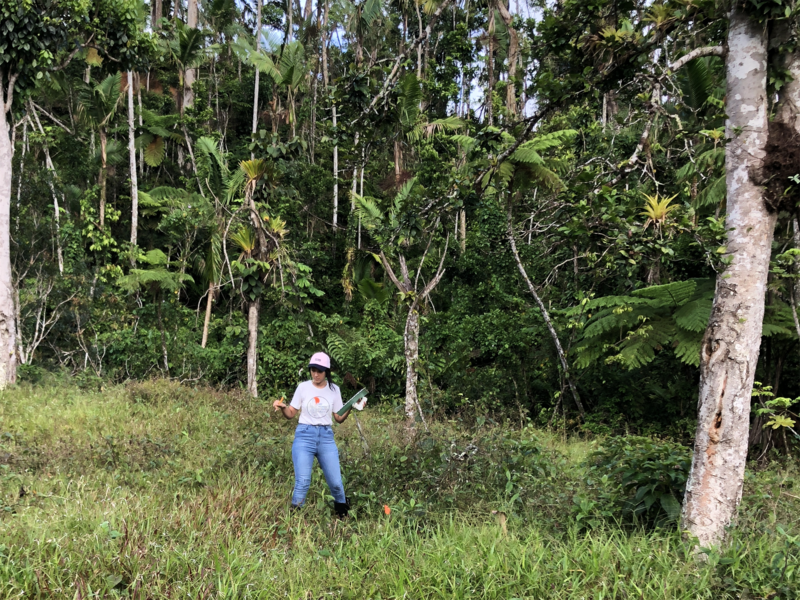 Nicole is studying mycorrhizal relationships between fungi and tropical trees, with a particular interest in helping speed the reforestation of her native Puerto Rico after the devastation of Hurricane Maria. In doing so, she is enlisting the aid of a number of citizen scientists, including schoolchildren who are being introduced to the scientific method. The award comes with a grant of $1000, which will be used for travel costs for her fieldwork in Puerto Rico. We are delighted to be able to assist her. The many AMS members who have participated in our fund-raising raffles and auctions can take pride in seeing their generosity making a difference. guided forays, mushroom dinners, and members-only maps for more successful hunts.